Bagel Central... It's all in the name! 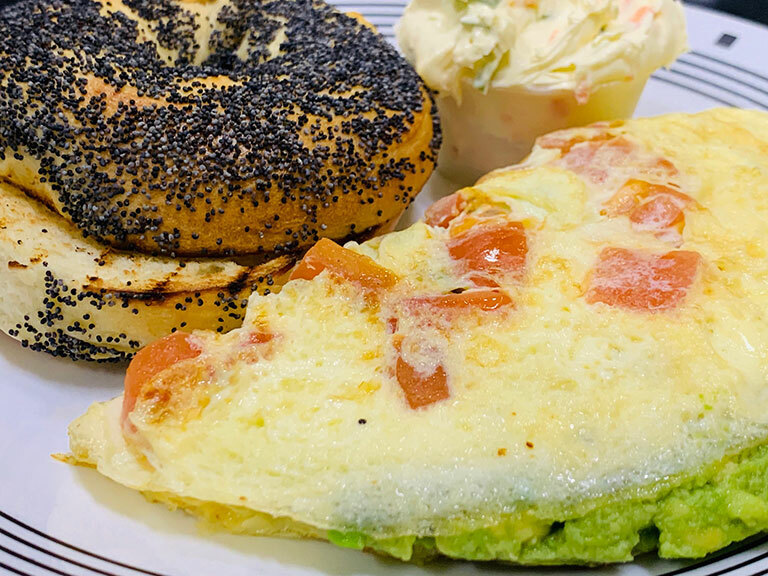 Our bagel selection can't be beat and we prepare fresh baked goods and deli items daily. 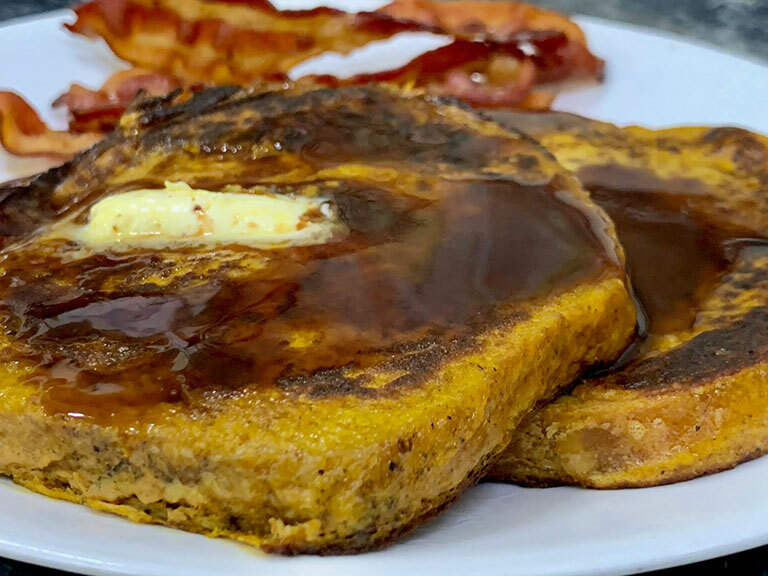 Come join us for breakfast, early and late lunch or try our take-out menu. We have a bright, spacious dining area where you can relax and enjoy your meal or meet with a client or special friend. Our Central Meeting House offers catering services for special events and our meeting room is available to rent seven days a week. The private rooms seats up to 24 guests and the cost is $20 per hour. Great location for business meetings, training sessions, social gatherings, and more! We are conveniently located downtown on 33 Central Street in Bangor, Maine and are open Monday - Friday from 6:00 AM to 6:00 PM, and Saturday - Sundays from 6:00 AM to 2:00 PM. We offer Daily Specials! Free Wi-Fi Available! 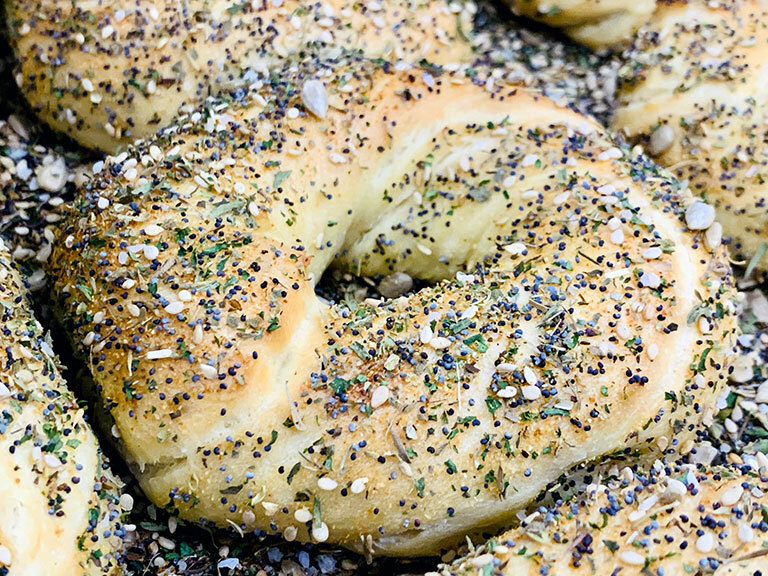 We also carry Udi's brand gluten free bagels and breads. Don't want to drive downtown? Our bagels are now available by the half dozen at Natural Living Center! 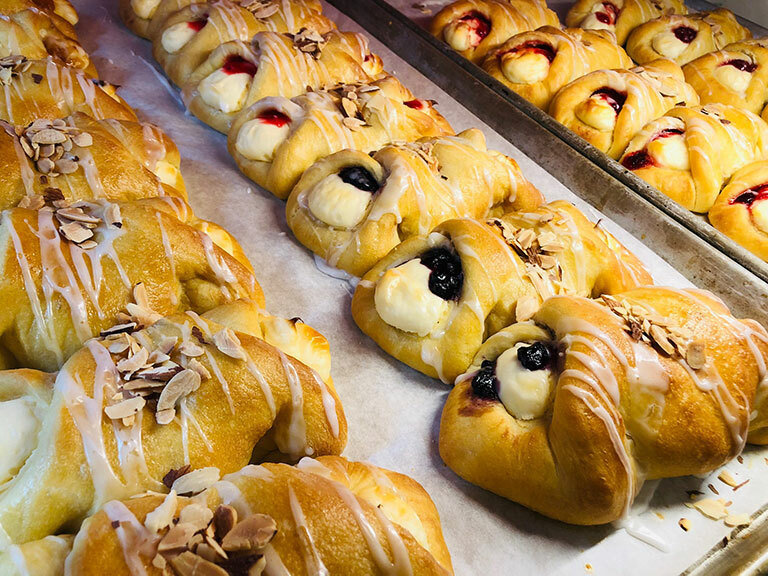 They are also available for breakfast at Broadway Coffee Shop and Eastern Maine Medical Center cafeteria! Friendly Atmosphere and Great Food! 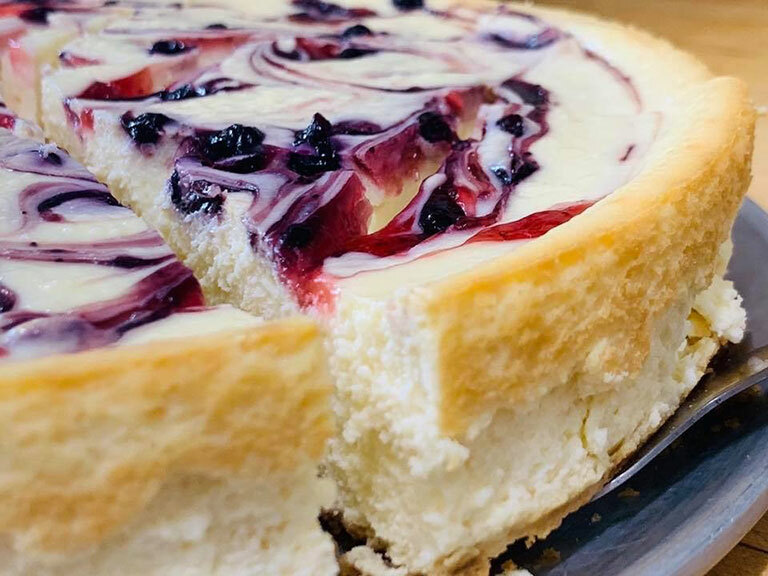 Click on the menu tab to see our wide selection of homemade foods including bagels, breakfast dishes, made to order fresh deli sandwiches, soups, salads and pastries! For your thirst, we have a variety of beverages including coffee, tea, juice, sodas and seasonal lemonade and raspberry-lime rickeys. 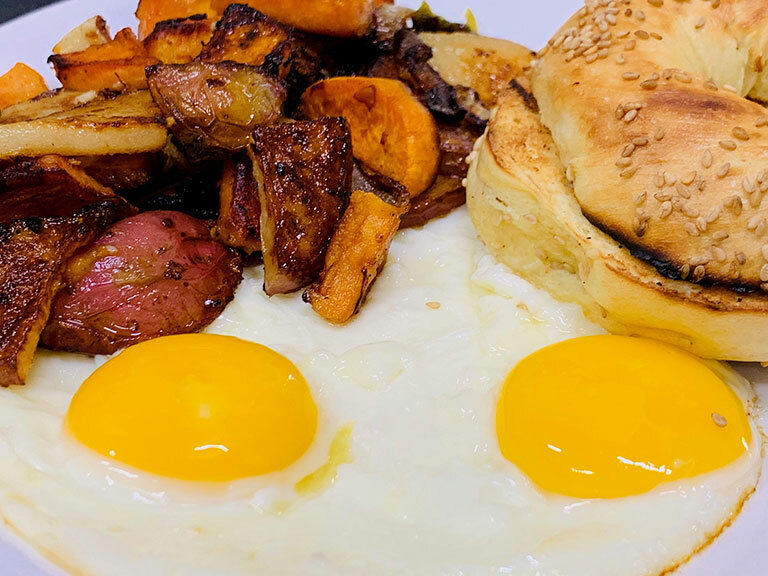 Our homemade bagels come in an assortment of flavors to appease anyone's taste buds, including Plain, Raisin-Cinnamon, Sesame, Poppy, Herb, Blueberry, Marbled Rye, Water, Sesame-Water, Onion, Garlic, Salt, Apple-Cinnamon, Everything, and Whole Wheat. There is nothing like the aroma and flavor of fresh homemade breads. Our bread selection includes Marbled Rye, Seven Grain, Plain Challah, Raisin-Cinnamon Challah, Bialys, Buckwheat, Braided Rolls, and Focaccia. For your next office party, business luncheon, house party, family gathering or that special occasion let us prepare the refreshments for you. 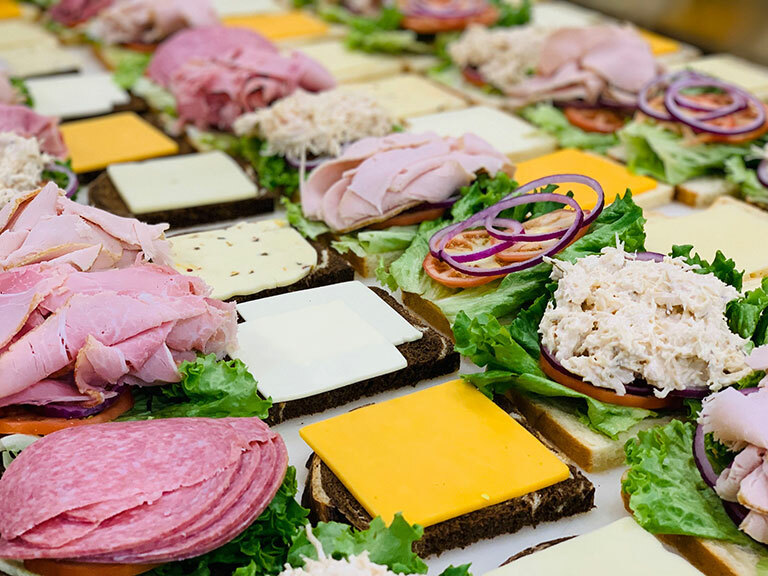 Click on our catering menu tab to see the meal and dessert platter choices that are available. Other options are available upon request. Remember, all of our products are made on the premises, by hand. We use only natural ingredients and the freshest produce. 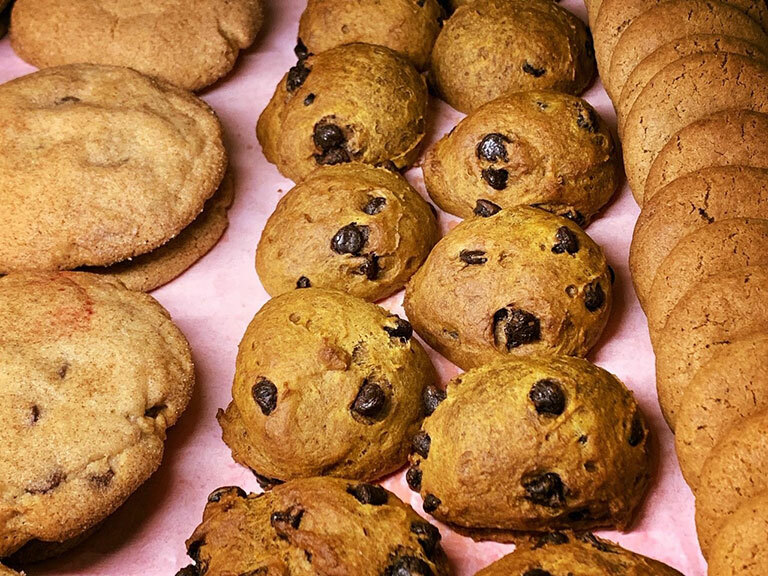 We never use any ingredients treated with chemicals or preservatives.